Neo GSM Starter Kit is an application development module GSM / GPRS SIM900 based. Neo GSM Starter Kit can be used as a data exchange advice text (Short Message Service / SMS), and exchange data via GPRS. Neo GSM Starter Kit is equipped with USB interface (Virtual COM port) and UART TTL serial, so Neo GSM Starter Kit can be used directly with a PC or with a variety of microcontroller and microprocessor systems. 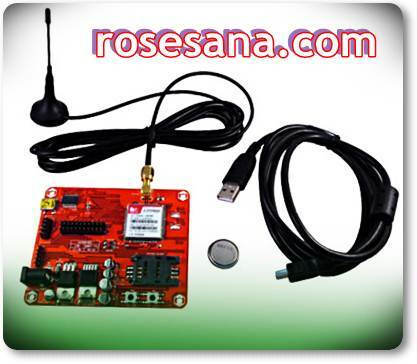 Real-world application includes vehicle tracking system (motor vehicle tracking system by sending data from a GPS module as Neo GPS or GPS Starter Kit. Starter Kit via mobile communications), sales of mobile phones and electronic pulses others. Based SIM900, Quad-band GSM module: 850MHz, EGSM 900MHz, DCS 1800MHz and PCS1900MHz. Support SIM card with voltage 1.8 V and 3V. It supports GPRS multi-slot class 10, SIM Application Toolkit features, fax features, and TCP / IP. There is a button to turn on / off and a button to reset the GSM module. There are 2 LED indicator Status (Status GSM and GSM networks). 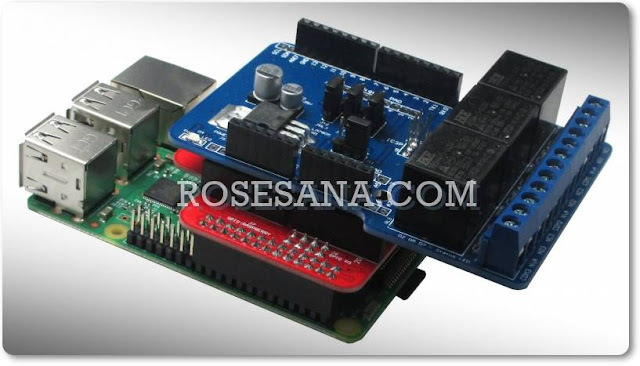 Available sockets + 1 piece of type CR2032 3V battery for Real-Time Clock (RTC). Can be connected and controlled directly by the computer. Requires power supply input voltage is 9-12 VDC (current + / - 2A). Compatible with the DT-51 Low Cost Series and DT-AVR Low Cost Series, as well as supporting the system microcontroller / microprocessor other. Also provided examples of AN (Application Note) use GSM Neo Starter Kit with a microcontroller and PC along with source code programs. 1 piece Neo GSM Starter Kit. 1 piece GSM Antenna 900-1800 MHz. 1 piece Mini USB cable to USB type A. 1 piece of 3V CR2032 battery. 1 piece DVD that contains a collection of manuals, schematics, testing procedures, support programs.